The Zambezi River is a truly magnificent, powerful and awe inspiring wonder of nature. It has captured the hearts and minds of many talented writers and photographers all of who are a lot better with words and celluloid than me. Your journey begins in Chirundu, Zimbabwe. A border town linking Zimbabwe to Zambia, and the beginning of what is called the Lower Zambezi River. 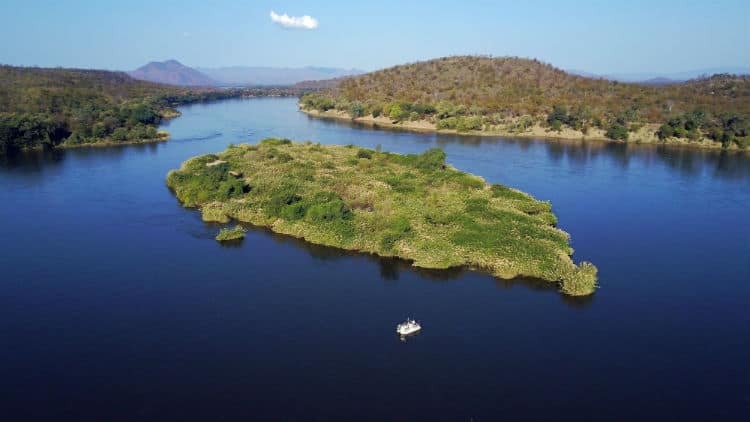 This part of the river is flanked by Zambia’s Lower Zambezi National Park on the northern banks and Mana Pool National Park, Sapi, & Chewore Safari Area in Zimbabwe. These three areas on the Zimbabwean side collectively form a UNESCO World Heritage Site. 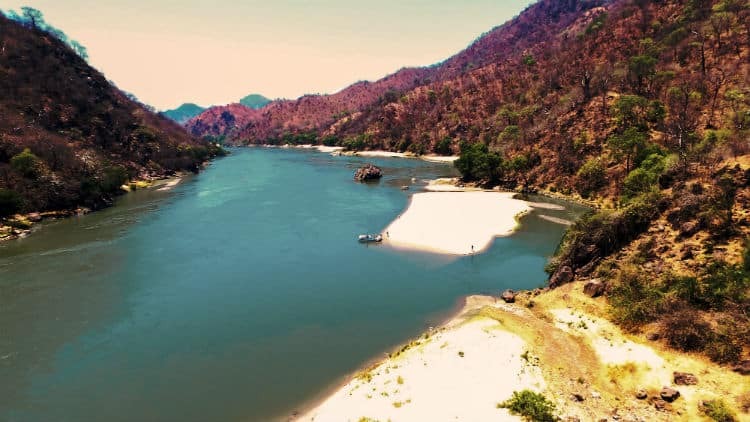 Because the land on either side of the river is protected by National Parks, this stretch from Chirundu to Cahora Bassa forms the most game-rich wilderness area on the Zambezi. Aside from the occasional boat from sparsely dotted camps along the bank, you are the only one on the river, drifting silently downstream as you view all walks of wildlife, undisturbed by your subtle presence, quenching their thirst along the Zambezi’s refreshing shores. This exceptional section of the river truly is a sanctuary, unlike any place you have ever seen and will leave you walking away with memories to last a lifetime. As you meander further east, you will observe the river changing from open channels and islands famous to the Mana Pools area, to a narrow deep-water gorge as the wide and magnificent Zambezi Escarpment gradually crawls toward the river’s edge. A completely different, but equally remarkable landscape on your voyage. The final section of your adventure takes you out of the gorge where the river widens yet again. The Escarpment loosens its grip on the river and retreats back to allow the stunning banks and beaches to reappear below the rolling, wooded hills and mountains. The voyage ends in Kanyemba just a few kilometres before Mozambique and the start of the Lake Cahorra Bassa. You will step off your vessel rested and rejuvenated after being one of only a handful of people to experience all that the Lower Zambezi has to offer in one remarkable safari.